Sunday, May 13, looks really exciting - after a month break, the horse fans and other residents of Wroclaw will have the opportunity to see riders and horses from all around the world in a very spectacular steeplechase. In the most important race, the participants will compete for Tiumen Prize - named after a famous horse. This champion, born in Moszna, won the world’s most difficult steeplechase in Pardubice (Czech Republic) - three times, in 2009-2011. The racing Sunday will start as usual at 14:15 and the entry is free. This Sunday, three hurdle races, one steeplechase and three flat race will all take place at Partynice Racecourse. The age of the horses will be 3 years and more, which means they will run on longer distances - 1907m and 2200m (flat races), 3600m (hurdle races and steeplechase) and even 4200m (the most important race of the day - Tiumen Prize). The last Sunday, May Bank Holiday event, was dominated by Arabic horses - this time, the Thoroughbreds (English full blood) will return to the track, proving they are the fastest horses in the world. They will run in each of the seven races. Tiumen (Beaconsfield - Toskanella/Demon Club), born in Moszna bloodstock in 2001, was the only horse bred in Poland, that won the Great Pardubicka race. Pardubicka is the most difficult steeplechase in the world (6900m, 30 hurdles). He managed to win it thorough the years 2009-2011, joining the exclusive circle of six horses with such achievements. Tiumen’s coach, Josef Vaňa, was mounting this horse at every Pardubicka race. Tiumen was outstanding, when it comes to hurdle racing. His career has started in Czech Republic and at first he ran in flat races, winning twice (paid position). Then, he started with the steeplechase, winning two times out of three (including one race in Merano). Since he was 5-years-old, he has been running only in hurdle races. The interesting fact is, three out of five of his triumphs were in Pardubicka. In all other races, except for one, he finished with a great score (at least as the fifth horse). The international horse race for 5 year-old (and older) horses has been taking place at Wroclaw Partynice Racecourse since 2013. Trams: 2, 6, 7 and 17 to: Krzyki terminus, and then the bus - 612, 852, 862, 872 or 892 (bus stop: Wrocław Partynice). You may prefer a walk from the tram stop ,,Przyjaźni” (trams 7 and 17). 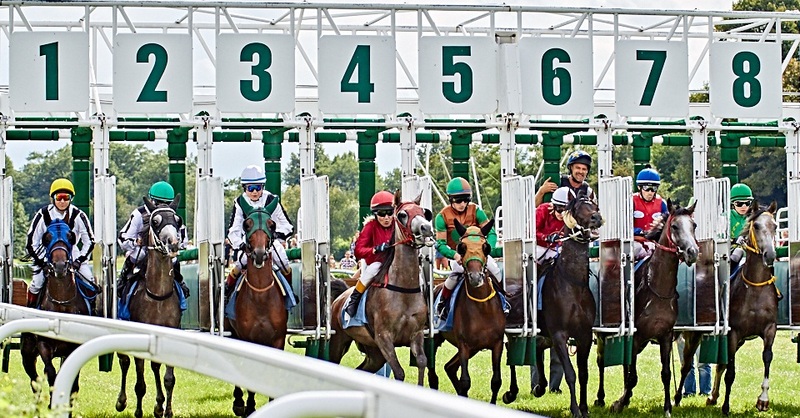 7 races (international members), several dozen riders, flat and hurdle racing and the most spectacular steeplechase – the commencement of this year’s horse racing season at Wroclaw Partynice Racecourse on Sunday 15 April 2018 will be packed with entertainment. As the opening ceremony approaches, be prepared for great sports emotions. The amazing Thoroughbred horses – real champions of the horse racing world – will race at up to 60 kilometres per hour! There will also be an equestrian vaulting show, pony rides for children and the music performance of Dixie Tigers Band. The event will start at 14.00 and the entry is free.